Gaia Project is the successor to the worldwide hit Terra Mystica. In this game where luck plays not part, colonize the Terra Mystica galaxy as one of 14 unique factions. Upgrade your structures, gain resources, and progress in six different research areas to accelerate your galactic expansion. 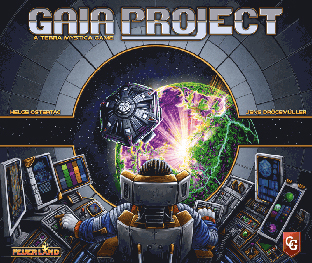 With 14 factions, each with their own unique abilities, and variable scoring conditions, every game of Gaia Project provides a unique experience. The next evolution in the Terra Mystica universe is finally here!